Cutting time-to-treatment is crucial when managing chest pain emergencies. Delays in care can mean the difference between life and death. But with the new ReadyLink 12-Lead ECG from Physio-Control, responders—with basic or advanced training—can quickly and easily capture and transmit 12-lead data to hospitals through our LIFENET System. Handheld, portable and easy to use, the revolutionary ReadyLink 12-Lead ECG gives doctors an immediate view of what you’re facing, so they can provide better chest pain decision support, direct you to the right facility and prepare hospital staff for the necessary care to help save your patient’s life. Backlit screen: Highly visible, even in inclement weather or darkness. Full keyboard: Tactile, push-button keyboard for easy patient data entry. 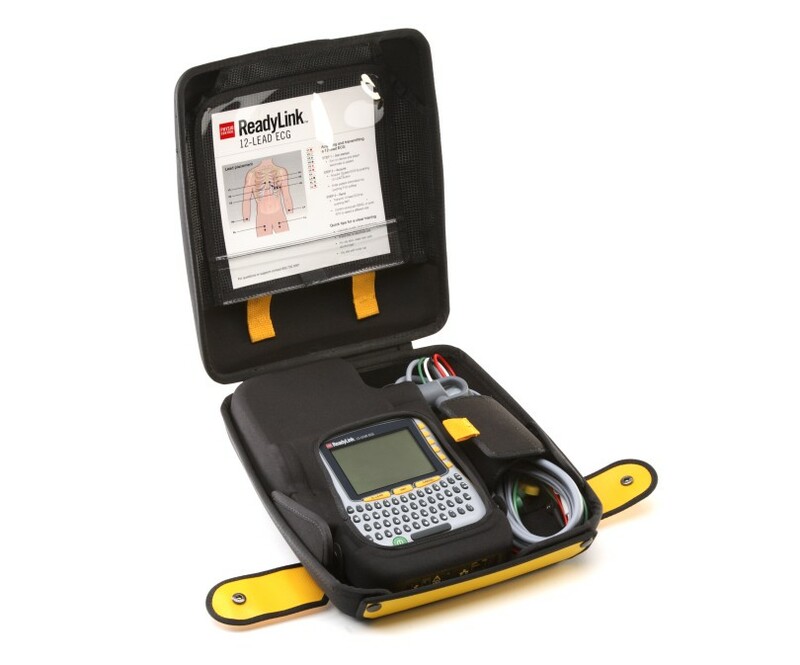 Lightweight design: Similar in weight to a professional AED, ReadyLink 12-Lead ECG weighs just 4.5 lbs, including battery, cable, and carrying case. Powerful modem: An integrated broadband cellular modem makes transmission easy. Lithium-ion battery: Rechargeable Lithium-ion battery reliably powers you for eight continuous hours. 12-Lead cable: Same professional-grade cable used on Physio-Control LIFEPAK 15 monitor/defibrillators. LIFENET System: One-button touch automatically sends 12-lead data to multiple locations. Click the button below to add the Physio-Control ReadyLink 12-Lead ECG to your wish list.